House Democrats have sent their long-anticipated request for six years of President Donald Trump's tax returns to the Internal Revenue Service, the opening salvo in what could prove an explosive battle between Democrats and the Trump administration over the president's personal finances that is expected to wind up in the courts. In a letter to IRS Commissioner Charles Rettig, House Ways and Means Committee Chairman Richard Neal, D-Mass., requested six years of Trump's personal and business tax information from 2013-2018, including individual tax returns and returns from eight businesses linked to Trump. He also asked whether any of them are or have been under audit - and for all the information to be delivered to Capitol Hill within a week. "This request is about policy, not politics; my preparations were made on my own track and timeline, entirely independent of other activities in Congress and the Administration," Neal said in a statement. Neal said that the decision to request the returns was in the interest of ensuring "the accountability of our government and elected officials. To maintain trust in our democracy, the American people must be assured that their government is operating properly, as laws intend." Democrats have said they would use Trump's tax returns to inform their investigations into allegations of corruption and wrongdoing in the administration and the president's family business. Speaking to reporters at the White House Wednesday, Trump signaled opposition to Democrats' request. "Until such time until I'm not under audit I would not be inclined to do that," he said. Treasury Secretary Steven Mnuchin told lawmakers last month that the Treasury will "follow the law" and review any request. Trump, who has long considered any examination of his personal finances a red line for investigators, is expected to aggressively challenge Democrats' request in court. Trump broke with modern precedent as a White House candidate in 2016 when he refused to release his returns, and has continued to do so while in office. Most presidents since Richard Nixon have voluntarily released their tax returns over the past 40 years, which is not required by law. Trump has said he continues to be under audit from the Internal Revenue Service, which the agency will not confirm or deny. Trump's attorney Jay Sekulow, who worked at the IRS shortly after law school, argued that Democrats would have to demonstrate a "legitimate legislative purpose" for obtaining the president's returns, and predicted the request "probably gets litigated" in an interview with ABC News podcast "The Investigation." Democrats requested Trump's personal tax returns under a 1924 provision of the tax code requiring the Treasury secretary to "furnish" any individual's tax return information to the chairs of three congressional committees "upon written request." Republicans have accused Democrats of weaponizing the tax code to target Trump, and said the move would set a dangerous precedent. 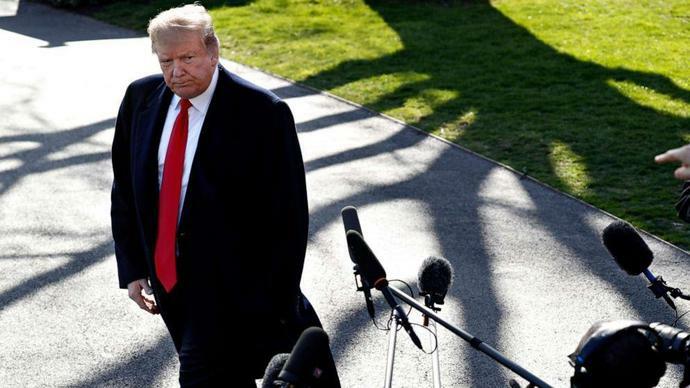 House Democrats have unsuccessfully tried to pass a measure requiring presidential and vice presidential candidates to release ten years of personal tax returns as part of a larger government reform package, which has stalled in the Senate.